2nd on the Bund is a heritage building which was formerly the upscale private club Shanghai Club (上海总会). Now it is one of the best hotels in Shanhgai - Waldorf Astoria Shanghai on the Bund. Pelham's, the French restaurant locates on the ground floor of this elegant luxory hotel, serves modern French-influenced dishes using local ingredients in an elegant and luxurious setting. This was my second time at Pelham's, i visited here two years ago and the dining experience was not bad. During lunch time, Pelham's serves affordable set lunch, CNY 248 for 2 courses, CNY 308 for 3 courses and CNY 368 for 4 courses. 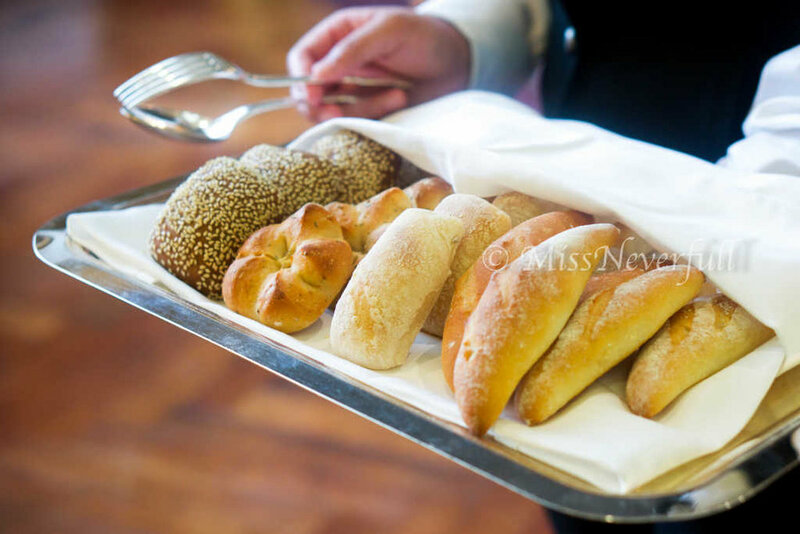 Before starting the meal, we were firstly served with some warm breads. Among whole wheat, rosemary, baguette and ciabatta, I picked the rosemary and whole wheat bread. The rosemary has a lovely fragrance, it savory hint nicely awaken my appetit. While the darker-colored whole wheat roll was a bit on the dry side. The breads were served with butter in 3 flavors: wasabi, salted and rosemary. The wasabi flavor was not very strong, i much prefer the rosemary one. The butter were creamy and nice with the warm breads, although the breads could be improved. Foie gras is probably one of the most popular dish at Pelham's, depends what i found from Dazhongdianping (大众点评). 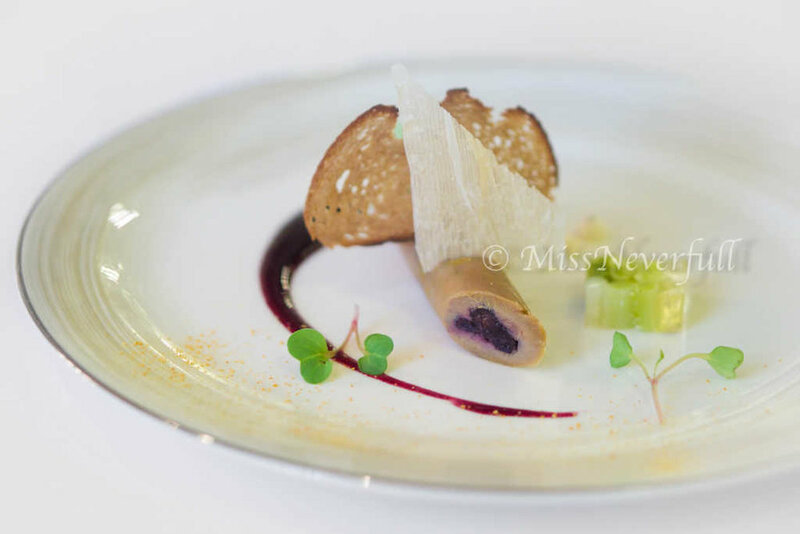 The foie gras itself was rich and smooth, its deep flavor paired well with the blueberry jelly inside - that's the impression of first bite. After the second bite, i found the blueberry jelly inside was too sweet and beyond the flavor of foie gras. I try to have some baby leek terrine on the side for a balance, but it was totally bland, and the leek was too tough. Overall quite disappointing, except the foie gras part. Compare to the 'ugly' first course, next comes a much prettier dish of scallops. It came with a lovely caramelized aroma thus i expected more on this dish after having the foie gras. The scallops itself was very juicy - very satisfying. However, the condit fennel on the bottom was very hard and tough, the other vegetables on the side was very bland even under the help of black olive soil. I picked monkfish for main course. This dish was serisouly a shame: the skin of the monkfish was very oily, and full of strong oil flavor. The fish was not lean at all -as way too much fat underneath the skin. Get rid of the skin, the flesh was chewy but too bland on the flavor side. The black sesame sponge on the side has a deep and aromatic black sesame flavor, but it was too hard and dry. The carrot mousse on the bottom, as you can see, have dried in the air already. Baby squid stuffed with rataouille was probably a better part of the dish. There were 2 young lady serves and 1 manager in the restaurant, and 2 tables of guest include my table. The 2 servers were talking to each other for most of the time, although they were quite friendly and serves food efficiently, the overall impression was really bad. 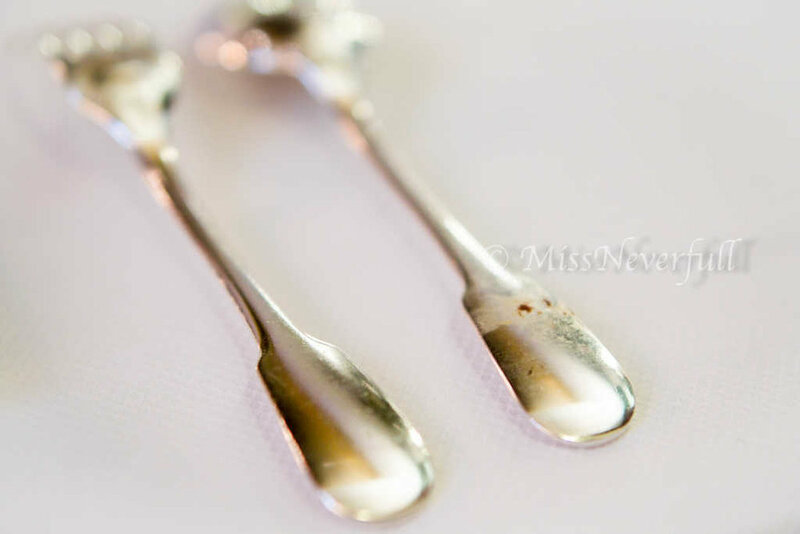 Worse for the manager, who was on his phone outside the restaurant for 95% of the time during my lunch.Before serving the dessert, i found the dessert spoon was not cleaned, seems really groose. The server replaced it without any apologize, the manager didn't even know this. Seems the restaurant need much better management. 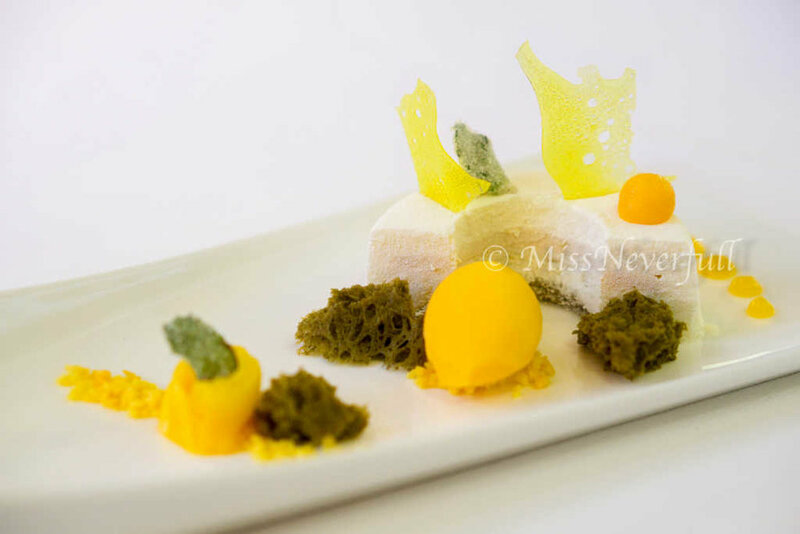 The 'Green Tea Mango' dessert coconsists of green tea financier, mango sugar, mango rose, green tea sponge and mango sorber. The almond mousse part looks quite dry but hoefully tastes smooth, while very hard to recognize its almond flavor. The mango mousse layer in between was okay, but the green tea sponge cake on the bottom was totally wet, which made me doubt whether it was freshly made or from the freezer. 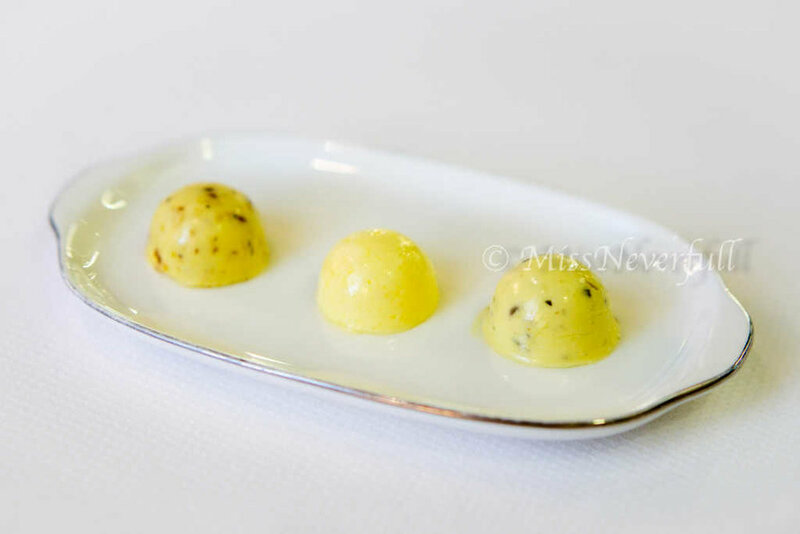 The three deconstructed green tea financier was very dry. I usually finish all the dishes when i fine dines unless the food was horrible and not worth the calories - this time i only finished the mango sorbet with fresh mango, and one bite of the mousse. And i only finished the monkfish flesh part and stuffed squid for the main. Even the petit fours were better than the dessert, although the three snacks were neither impressive. I don't know what happened within these two years, whether i am becoming more picky or the quality of the food really decrease? or both? My friend said, because i am becoming picky, and a lot more better restaurants were emerging in years, and probably accopamny by the truth that the food quality at Pelham's still remains the same or even decresing, leads to the disappointing dining experience this time. The food was horrible and i would rather go grab something at Wagas or Element Fresh for lunch, no need to waste time, money and calories on this kind of food. Beyond that, the restaurant really need to pay more attention to its management and its cleaness. There was a fly around my table all the time which was really annoying. All in all, this was probably the last time at Pelham's - there are much more better restaurants on the bund.